No matter the scale or niche of your website, chances are that going international is something you have in mind. According to statistics, 71% of all WordPress content is published in English. However, even though this CMS is the most popular system for blogging and general site hosting on the planet, websites still lack an expansive multilingual offering. That is why sites that go multilingual early on have a much better chance at staying relevant for longer and expanding into new markets. As is the case with WordPress, numerous plugins exist which can assist you in your localization efforts. Let’s take a look at some of the best plugins for multilingual website management as well as some factors which you should consider as you go along. Manual Translation – As the name might suggest, these plugins rely on your expertise as a translator and a writer. They exist to help you manage content more easily and organize it through different lingual versions of your CMS. It might seem counterintuitive but this type of multilingual plugin is preferred by localization professionals due to its versatility and customization options. However, if you don’t have in-house translators or are not engaged with a platform such as The Word Point for localization assistance, the second category will cater to your needs. Automatic Translation – If you are familiar with Google Translate and its equivalents, you will have a good idea of how auto translation plugins work. 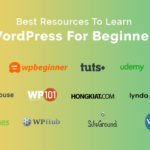 These plugins are suitable for content managers with little background knowledge of translation, as well as websites with predominantly technical content on offer. While they do save time and money, auto translation plugins still can’t make up for true localization needs. With all the advancement in machine learning and AI, plugins are still not capable of mimicking human speech in their translation efforts. Be that as it may, this is still a great solution for sites in need of rudimentary multilingual optimization. Speaking of Google, their translation tools have gone beyond mere gimmicks we see in memes around the internet. Google Website Translator is an intuitive and easy-to-learn plugin which can automatically translate your website into numerous languages. It does this on-demand, meaning that a user will visit your page and request a change of language from a drop down menu. Once that happens, Google Website Translator will quickly determine the best course of localization and transform your entire page into a different language. The plugin effectively translates sidebars, navigation and any elements which are found on that respective page. It’s quite intuitive and has a free price of admission so there is no reason not to give it a shot. When manual translation is concerned, plugins still need robust features to function properly. Weglot is a plugin with full SEO integration and an extensive set of translation tools readily available. However, this tool will not translate your site automatically, instead opting to assist you in doing so yourself. Weglot features quick access to popular SEO keywords and phrases in different languages as well as a suggestion tool which can guide you through the process. While it shouldn’t be used by someone without prior knowledge or understanding of target languages, Weglot is still a powerful WordPress plugin. Weglot seamlessly responds to every theme and plugin already present on your site so there is no reason to worry about compatibility issues. It comes in free and premium versions depending on the extent of your site’s needs, so make sure to check it out. Sometimes, WordPress translation plugins combine automatic and manual translation in one. Such is the case with Lingotek, a plugin which can monitor your website’s translation progress, offer updates and suggestions, as well as assist you in your translation efforts. Lingotek is a part of the Lingotek network, a web service dedicated to AI translation and refinement. 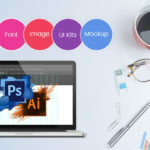 The plugin is connected to the overall network at all times, giving you access to a set of robust translation tools that lean towards automation. Any piece of content that doesn’t exist in the database as of the moment can be translated manually and inserted into the cloud. That way, Lingotek operates on a crowd-based system where websites operate individually but add up to each other’s multilingual optimization. Lingotek offers free services with several premium offerings depending on the complexity of your site’s needs. As it stands, WPML (WordPress Multilingual Plugin) is considered to be the best translation plugin for WordPress by many. However, in terms of its offering and versatility, it offers the same amount of freedom and customization as others on our list. What separates WPML is the team behind it. The tool is extensively upgraded on a constant basis, which means that there is very little in terms of multilingual optimization that WPML can’t handle. It is built to support website creation from the get-go, meaning that you can integrate WPML fully into your site with no problems. This makes it perfectly suited for heavyweight translation of ecommerce WordPress sites and extensive company websites. While this tool is premium, it offers demonstration options for those who are unconvinced by its flexibility. Site-wide multilingual optimization is considered the norm in most cases. If all of your content is translated to another language, your SEO standing will improve as a result. However, if you rely on paid advertisement and collaboration, you can use Polylang to selectively translate your content. Polylang is a fully customizable multilingual plugin centered on manual translation. This means that you will have to have some knowledge of the languages you want to translate to in order to make the most out of the tool. With that in mind, Polylang offers custom URL generation based on the languages you translate your content to. This means that you can only translate the pages and content with the highest traffic numbers without spending time on site-wide localization. Polylang should be used with a CMS monitoring tool or Google Webmasters in order to get a better understanding of your website before opting for selective localization. Sometimes you will be short on time but in need of multilingual optimization. This often happens during holiday sales periods, exciting marketing campaigns and collaborative content creation. In that case, tools such as TranslatePress are a great addition to your WordPress website. 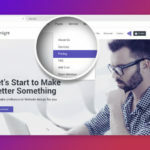 The plugin is built with page-wide translation in mind, meaning that it is capable of translating entire pages of content in a matter of moments. It offers semi-automatic translation which means that you can fine-tune any localization mistakes it might make on its first pass. TranslatePress offers support in over 200 languages and is fully integrated with Google and its SEO. However, many of its advanced features are locked behind the premium pay wall, which means that you will have to commit to it fully to make the most of what it has to offer. While not as robust or extensive as other entries on our list, Bogo does one thing much better than others. It allows for full localization of the administrative tools on your WordPress dashboard. This means that you can work on your multilingual optimization in your native language, as well as translate the actual content of your pages. Bogo is a very lightweight and unobtrusive plugin which works well with a plethora of other popular tools. However it doesn’t handle premium WordPress themes as well as others since its core functionality lies in the admin-side translation. Be that as it may, this is still a worthy addition to your plugin arsenal, especially if you can’t cope with the default WordPress interface. Despite the popular opinion, side-by-side translation interface isn’t the norm in multilingual plugins. Babble is an open-source multilingual optimization solution for WordPress CMS. It is fully supported and developed by the community, meaning that it is very up to date with current localization trends. What separates it from the competition is the intuitive UI designed with quality of life improvements from numerous international developers. It’s quite easy to get used to a side-by-side view of both the original and translated text you work on. Babble is also lightweight in terms of bandwidth and load times which mean that your site’s performance won’t suffer for it. Given its open-source nature, Babble is free to use with the side note that every user is invited to participate in the active ongoing development of its features. This is a great payoff for an otherwise very professional and reliable multilingual plugin. If you want separate domain names for your multilingual optimization, MultilingualPress is the perfect tool for the job. The plugin assigns separate domain names for each page that belongs to another language. That way, your pages will become a part of the network of languages which are present on your website. This can be very useful for blogs and ecommerce sites with custom-made URLs. MultilingualPress also allows you to edit and format pages in all of your languages at once. This means that you can comfortably work on a single article in different versions until you are satisfied with the end result. If you ever decide to switch to a different plugin or uninstall the tool altogether, your translated domains will still exist in their original state. As a family of related language optimization plugins, WPGlobus has a lot to offer. It features everything from visual content localization and optimization down to Yoast SEO integration. You can use both automatic and manual translation interfaces depending on your needs. WPGlobus is a great way to cover all of your multilingual bases without relying on separate plugins which may or may not work well in tandem. However, it’s worth noting that the majority of WPGlobus plugins are not free, requiring premium access to function as intended. 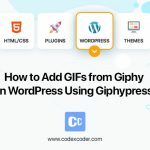 Regardless of that small setback, the free version of this WordPress tool will suffice for most independent bloggers and content managers. Once your content is translated into different languages, you will have to let your readers know that they now have access to more options. The User Interface (UI) of your website should be optimized so that the language options are clearly visible to anyone who looks for them. Alternatively, you can offer language change options as a popup or during the reading process of individual articles (in case of selective localization). Even if you use WordPress plugins to help you out with the multilingual optimization efforts, you should still pay attention to text encoding. Using an encoding system that doesn’t display alphabets other than English on your site can leave a poor impression on the reader. Instead, change your text encoding to UTF or its equivalent. That way, anything from Cyrillic to Chinese local sign systems will be displayed correctly. As we’ve mentioned before, automated algorithms are far from ideal in terms of translation. This is especially true if you translate long-form blog content and hope for perfect localization. Don’t make the mistake of publishing automatically translated content without proofreading it personally. While it may be close to the result you hoped for, glaring logic errors can always happen when automation is in question. Go through each of your content pieces at least once before publishing them and you should avoid any potential confusion or embarrassment. Multilingual optimization plugins for WordPress are only as effective as you allow them to be. You will always have the agency to modify things despite their databases and automation capabilities. Be smart about using these plugins in your multilingual optimization efforts and you will see your site’s performance rise drastically over time. Give them too much autonomy or free reign over your content and the opposite is more than a possibility.